Do your kids love file folder games? Mine sure do! I created this game for children in Kindergarten through 2nd grade. 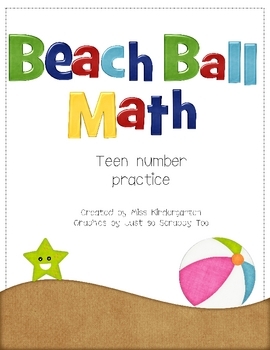 They can use this game to practice understanding the concept of teen numbers (11-20). Suggestions for use: Paste the beach ball addition pages on the inside of a file-folder. Glue the cover page onto the outside and laminate the entire folder open. 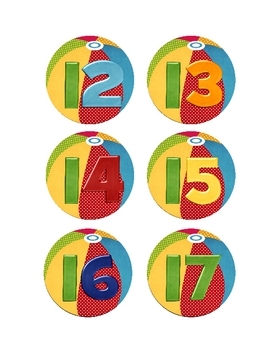 Cut out each numbered beach ball and laminate those as well. 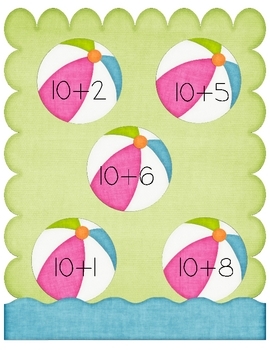 Create some sort of pocket to keep the numbered beach balls in when the game is not in use.